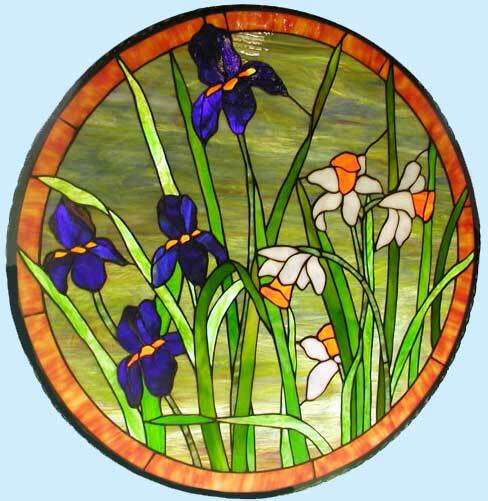 IRISES AND DAFFODILS CUSTOM STAINED GLASS CIRCLE WINDOW. This circular stained glass window was 25" x 25", another masterpiece created by Jack McCoy©. He worked nights to make this for me. It arrived at my home one day totally unexpected. Wow! I love it! His comment was, "I knew you like orange." Thank you, Jack! Now I have a real McCOY©!